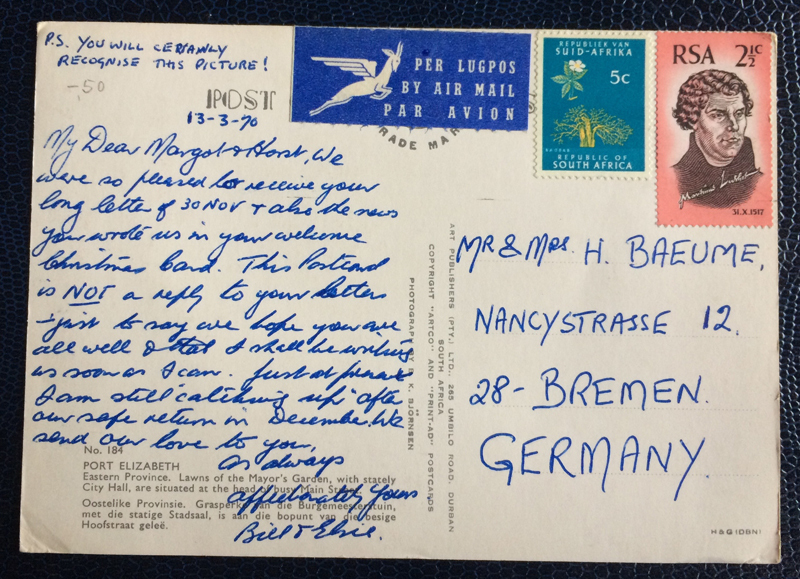 This postcard goes from South-Africa (RSA) to Bremen in Germany. 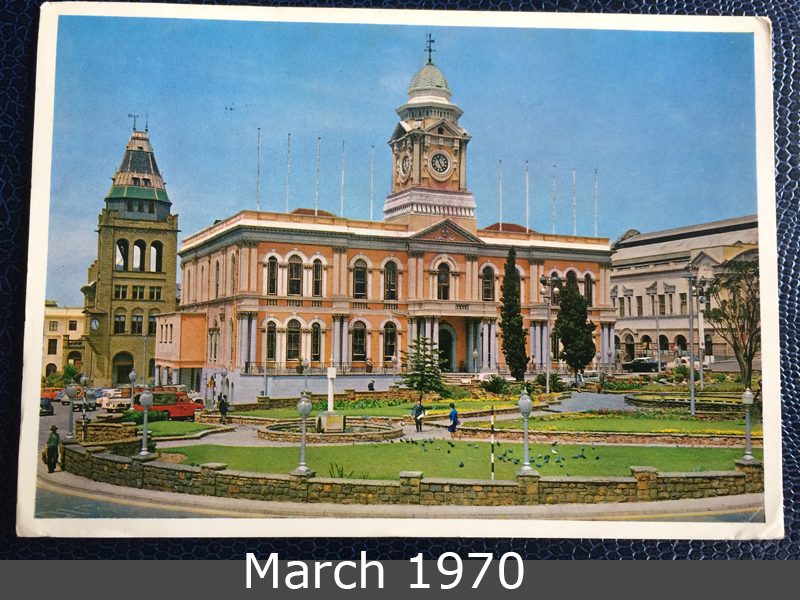 It shows Port Elizabeth in the Eastern Province, Lawns of the Mayor’s Garden, with stately City Hall, situated at the head of busy Main Street. With some nice stamps from Suid-Afrika.